Mamie by Tania McCartney is perhaps one of the most unique, inspiring and beautiful pictures books I have read in a long time. Part biography, part fascinating story with the most picturesque illustrations, Mamie is not only a beauty to behold, but a book to treasure. May Gibbs (1877-1969) is a household name for her contribution to literature and the arts throughout her lifetime, and long since her passing. 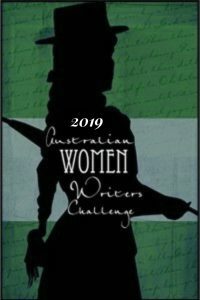 Held in high praise, and regarded as the best of the best, her books are timeless, beautiful creations that still entertain readers of all ages some 50 years post her passing… and yet, the women held in such high esteem, the creator of an iconic Australian series, is largely unknown to vast majority of Australians. All of that changes with Mamie however. Mamie is simply put an illustrated picture book documenting the beloved May Gibb’s life. It’s one of many books released as part of the 100 years of Snugglepot and Cuddlepie (1918-2018) anniversary celebration, but it is perhaps one of the most important, and certainty the most unique. Mamie explores the very essence of May Gibb’s life and is one of a handful of texts out there that seeks to know the artists – her life, passion, process and art – beyond the scope of her celebrated literature and artwork. It’s a documentation, fascinating narrative and a beautiful story of hope, imagination and inspiration. Mamie’s drawings were inspired by nature. Wildflowers spilled from her paint brush. Her pictures were so beautiful, one of them were rolled up, tied with a ribbon and sent to the Queen Of England! Cecilia May ‘Mamie’ Gibbs (1877-1969) was born in England on the 17th January 1877. She moved to Australia with her family at the tender age of 4 years old, only to be devastated by what she found here. Despite searching high and low, she could not find one trace of her beloved fairies from back home. For years she sought them out, creating fairy gardens that yielded no luck, instead only finding ‘gumuts and ragged blossoms’ at every turn. With nothing left to do, May turned her imagination to the gumnuts and blossoms, and turned them into the world we all know and love as the adventures of Snugglepot and Cuddlepie. Tania McCartney deservers all the praise she can get for the creation of Mamie . Featuring stunning, and decadent, illustrations depicting the most extravagant and imaginative childhood and life of the Iconic Aussie legend May Gibbs, Mamie is a beauty to behold. Not only does it offer a rare glimpse into the workings of Gibb’s mind, passion and processes, but it does so with an elegance and grace that effortlessly whisks the reader off into a world of imagination, the fae and of course, Snugglepot and Cuddlepie. McCartney’s illustrations are second to perhaps only Gibb’s herself, with the former’s images sweeping across double page spreads and bringing the text to life in the most unexpected and magical of ways. It’s harder to fully comprehend and explain the pure beauty of Mamie in words, for really the narrative is an experience better felt than explained. It’s a sweet story with a massive heart, that captures an icon in the making. It’s well worth a read, and I can not recommend this one highly enough!